As stated in the last post I've been severely bitten by the the Kill Team bug. 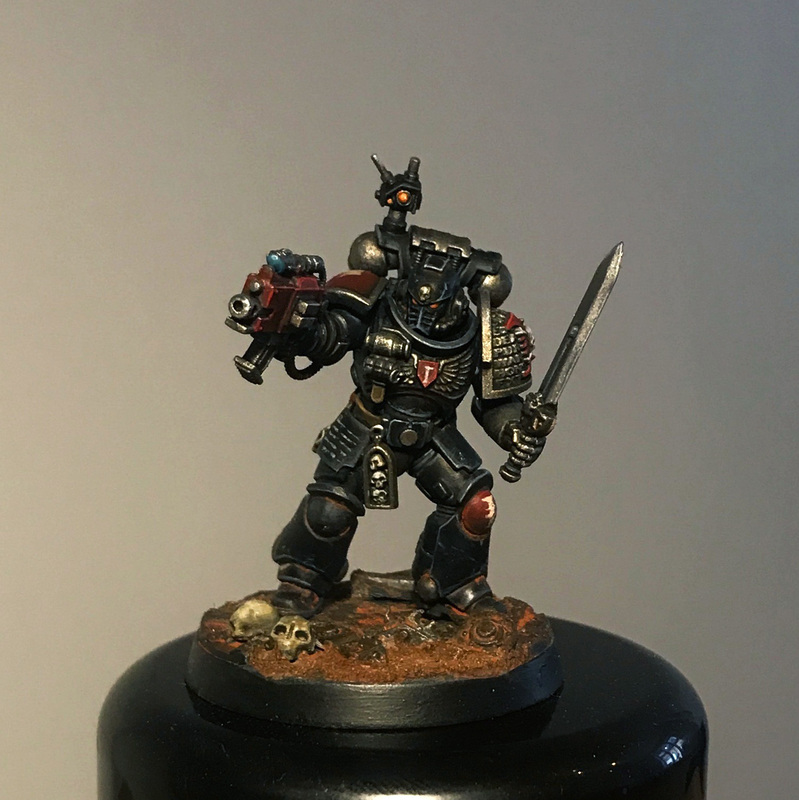 Here's battle brother three and four for my Deathwatch kill team who will join Sergeant Dukas and Brother Desplat made previously. If I could I'd arm the lot of them with shotguns as reivers with shotguns are my new absolute favourite thing - there's something so quintessentially badass about that combo. These guys will be fielded as regular deathwatch marines - I just use the primaris to give them a proper scale. 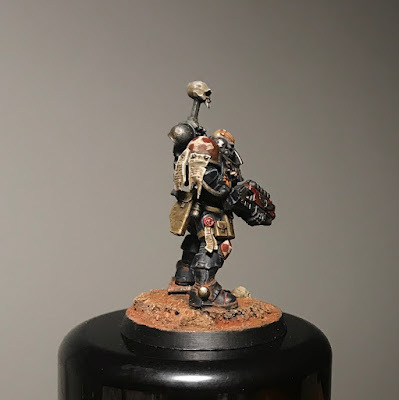 I've also cobbled together a custom Kill Team battlefield/killzone. It’s made out of a 60x90 cm cork notice board - more or less the perfect size for a kill team board and it comes with a sturdy wood frame and everything. The topographical variations are made from cork sheets glued on with PVA glue. 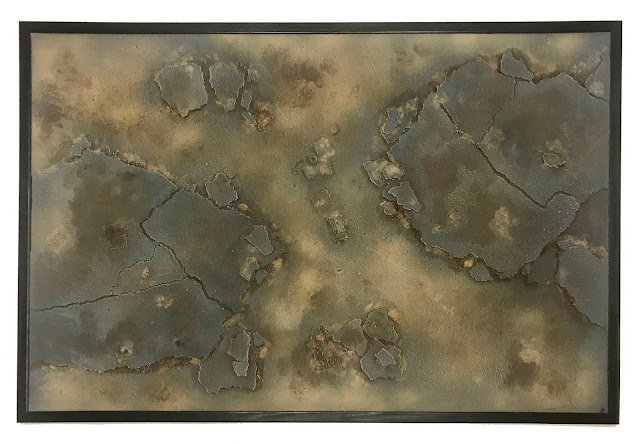 The board was then strategically sprinkled with pebbles and some debris, painted with vallejo textured paint (which is great - especially as it it's cheap and comes in a huge 200 ML jar), sprayed with GW grey and khaki and then drybrushed with light grey. To finish it off some powders were applied to give a more realistic look. Those look sweet! I might have to borrow the idea for a "true scale" DW Kill Team myself. My display/transport board that I use when I go to events was also done on the a cork pin board, but I used the back, and when I've got a big gap between events, it hangs up as a pin board, so it's nicely out of the way! The Deathwatch are up to your usual high standards, and that board is a lovely piece of work. Brilliant stuff. The Deathwatch look superb. But love the cork board. Cheers guys! Glad you approve! You go right ahead sir! Great idea on the cork board.. it all looks great! Oh, I’ll get back to them eventually... They’re too fun to stay away from! Fantastic work. Stupid question, but where are the shotguns from? Haha! 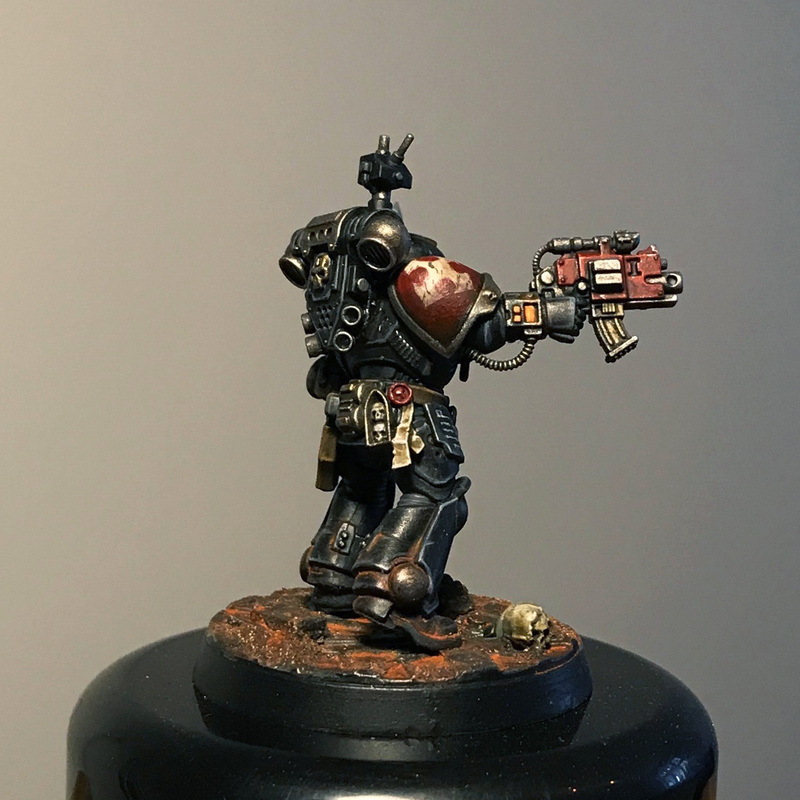 Right out of the Deathwatch kit! 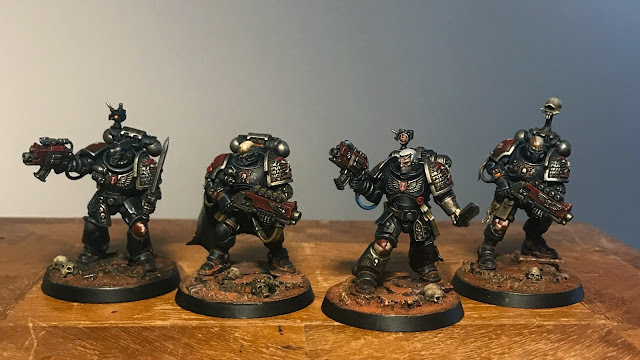 Love this kill team! I especially love the way you paint steel/silver, giving it brown hues instead of blueish. It suits dark, dangerous battles. Also don't know what I enjoy more, the badass Reiver head or the menacing helm! 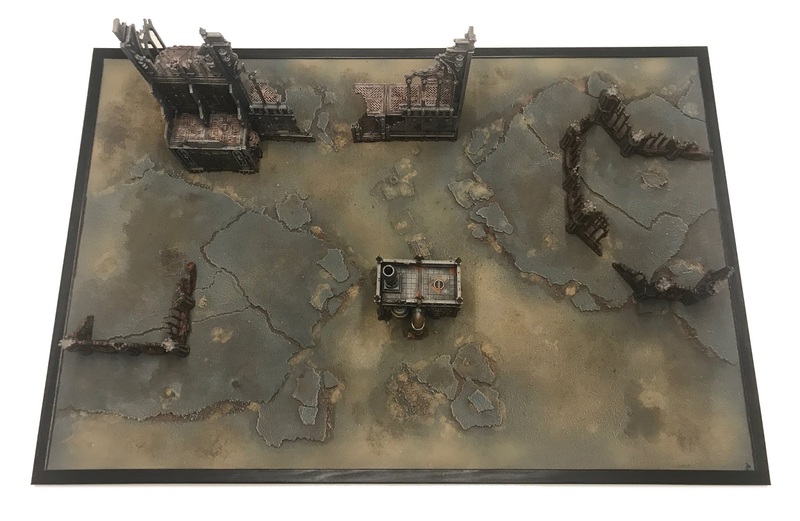 The board looks very cool too, fits the dusty appearance of your deathwatch! You inspired me. Maybe I'll try to make one too one day! Unrelated thing: I wanted to put a similar copyright on my blog like you have down there. But I can't seem to fit that much info in the copyright footer Blogger offers. How did you do? Oh my goodness, this look is amazing. Really inspiring me for some of my own kill teams. 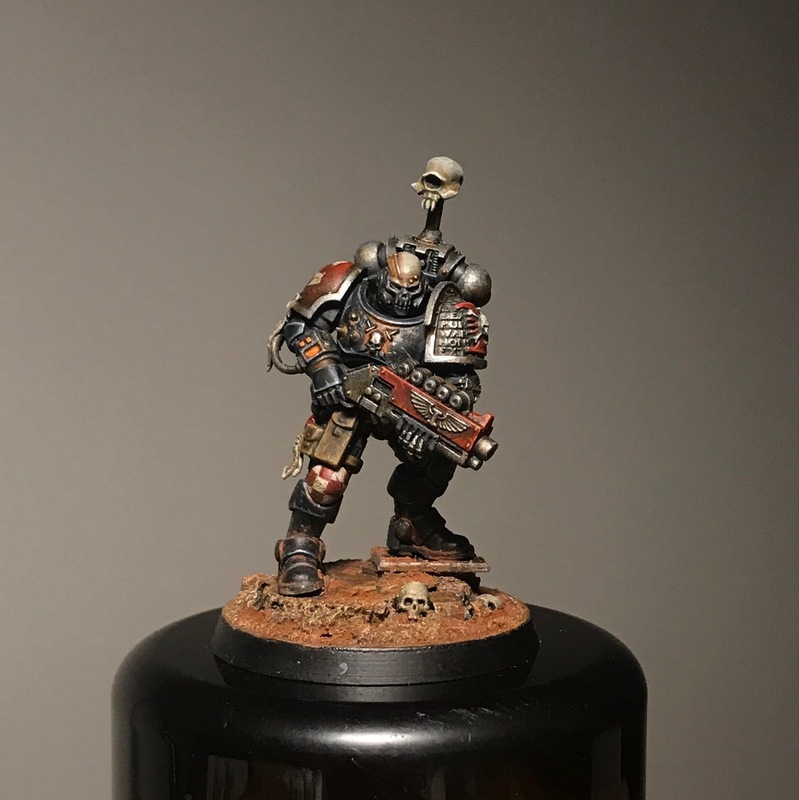 I absolutely love the dirty black and red look you get on your miniatures Jeff. Have you ever done a tutorial on how you do it? 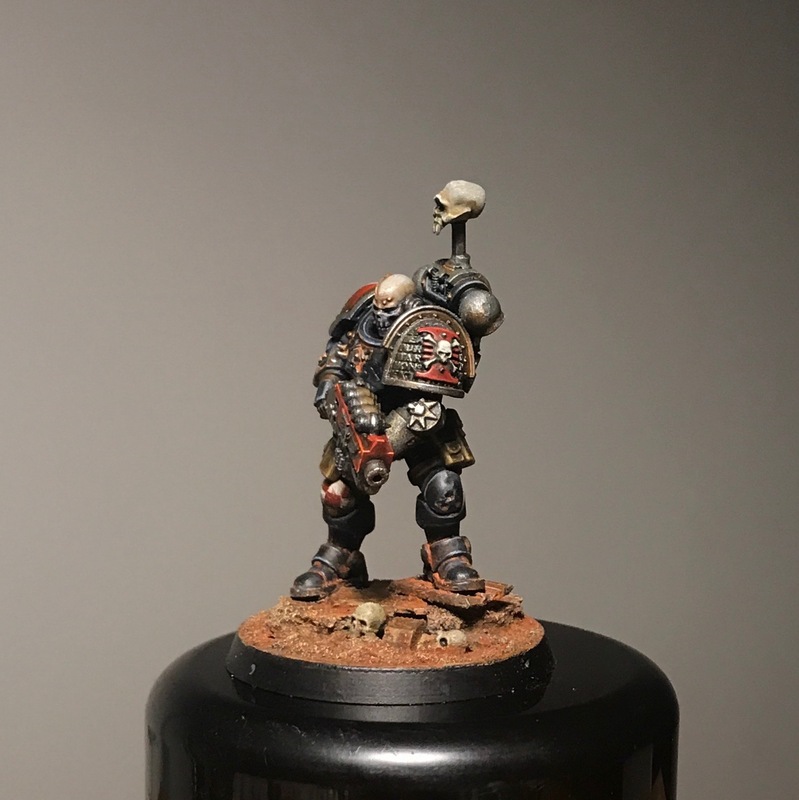 As "Wordmercenary" said, would also love a tutorial or short introduction into your way of painting the Deathwatch.